is a Professor of Endocrinology, Department of Internal Medicine and Director of Miriam and Emmett McCoy Stem Cells and Diabetes Mass Spectrometry Research Laboratory at University of Texas, USA. His work focuses on proteomics, transcriptomics, and bioinformatics approaches to basic and translational research to discover emergent principles of normal human biology and pathophysiology. is a Professor of the Institute of Analytical Chemistry and Radiochemistry at University of Innsbruck, Austria. In addition to his academic scientific career, Prof. Bonn held and holds important positions in scientific and government research committees. His research focuses on the development of new, selective and sensitive methods in proteomics and bioanalytics. is a Professor of Bioinformatics, Shanghai Jiaotong University, China. He had developed molecular simulation tools with applications to a wide range of chemical, physical & biological systems from electrolytes, to polar liquids, to ferroelectric liquid crystals, to combined QM/MM systems, to membrane proteins & protein-ligand complexes applied to computer aided drug design. is a Professor of Biochemistry at Albert Einstein College of Medicine, NY. His research centers on the application of structural biology, and particularly, nuclear magnetic resonance (NMR), to biological problems. He attempts to develop and apply useful new methods to challenging problems not readily addressed by standard methods. is a Professor of Bioinformatics at College of Life Sciences, Zhejiang University, China. His group research work mainly focuses on systems biology, computational and functional analysis of non-coding RNAs, bioinformatics research and application for plant sciences. is a Professor of Zoology at Hannover University, Germany. His current and future research focuses on “Planetory Placozoan Genomics”, which includes the development of new working tools for whole genome sequencing, bioinformatic analyses, functional genomics and ecological field monitoring for environmental change studies. is a Professor of Biochemistry and Molecular Biology at Institute of Biochemistry and Cell Biology, Shanghai Institutes for Biological Sciences, China. His research focuses on protein misfolding and quality control. He attempts to elucidate the molecular mechanism of protein misfolding, amyloidogenic aggregation and biological degradation of the neurodegenerative disease-related proteins. is a Professor in the Department of Bioinformatics at School of Life Sciences and Technology, Tongji University, China. He has worked in the fields of genomics, gene regulation, and epigenetics for more than 10 years, and published more than 30 papers in reputed journals. is an Associate Professor of Medicine and Director of Bioinformatics Lab at The University of Toledo, USA. His research interests include principles of eukaryotic genome organization; origin, evolution, and functioning of introns & noncoding RNA; computer mining of novel genes & prediction of constitutive and alternate splicing. is an Associate Professor of Computer Science at the University of British Columbia, Canada. His research interests include artificial intelligence, discrete algorithms, graph theory, and their applications in network science and computational biology. His current research focuses on graph-theoretical and algoritmic techniques for social and biological networks, random models for large-scale complex networks. is an Associate Professor of Computer Science and Head of the Computational Biology Lab, University of Milan, Italy. His research focuses on Machine Learning and Computational Biology, with a particular interest on the design, analysis and application of ensemble methods and graph-based algorithms to protein function prediction, disease gene prioritization and drug repositioning problems. is an Associate Professor in Translational Proteomics at KTH-Royal Institute of Technology, Sweden. His group is working on affinity proteomic analysis of body fluids and develops high-throughput and multiplexed assays using reagents from the Human Protein Atlas. These are applied to various disease areas for a microarray-based protein biomarker discovery and verification. is an Associate Professor and Co-director of Bioinformatics at NYU Cancer Center, NYU Center for Health Informatics and Bioinformatics, New York University Langone Medical Center, USA. His research focuses on NGS data analysis, variant detection, computational cancer genomics and sequence motif prediction. is an Associate Professor in the Department of Genetics, Comenius University in Bratislava, Slovak Republic and Group Leader at Max F, Slovakia. Perutz Laboratories, Department of Chromosome Biology, University of Vienna, Austria. His research interests include chromosome segregation, protein-protein interactions, technologies for protein analysis as well as transcriptomics and transgenomics. is an Associate Professor of Biochemistry in the Department of Chemistry at University of Louisiana at Lafayette, USA. He conducts research on gene regulation and signal transduction. is currently an Associate Professor of School of Biological Sciences at University of Hong Kong, China. His research interests range from functional analysis of genome to cell differentiation and oncogenesis, especially the role of chromatin remodeler in development and diseases addressed by OMICS and Systems Biology approaches. 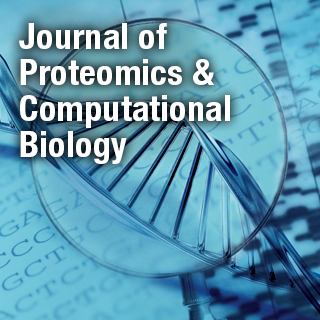 is an Assistant Professor at Center for Proteomics and Bioinformatics, Case Western Reserve University, USA. His research interests are computational/statistical biology focusing on bump hunting problems, model selection & data mining methods in high dimensional settings. is an Assistant Professor in the Department of Biology at the University of Vermont, USA. His expertise in proteomics includes, but is not limited to, quantitative profiling of proteins and their post-translational modifications expressed in tissues and cells; and detecting low-abundance proteins in biological and biomedical samples. is an Assistant Professor of Biology, University of Alabama, USA. His research focuses on plant-microbe interactions using systems biology, genomics and bioinformatics approaches on generation of comprehensive plant-immune network using versatile pathogens; construction of large-scale transcriptional regulatory network; and pathogen-mediated network perturbation. is an Assistant Professor of Computational Biology, Department of Biosystems Science and Engineering, Swiss Federal Institute of Technology-Zurich, Switzerland. Her work focuses on mouse organogenesis and simpler patterning systems to address more fundamental questions regarding the control of organ growth and the robustness of signalling mechanisms to evolutionary change. is an Assistant Professor of Molecular Biology in the Department of Integrative Structural and Computational Biology at The Scripps Research Institute in California, USA. He is a membrane protein chemist and his current focus is biochemical and molecular characterization of G-protein coupled receptors to understand their mechanism of signaling. is an Assistant Professor of Bioinformatics, Centre for Integrative Bioinformatics (IBIVU), Section of Computer Science, Vrije Universiteit Amsterdam, Netherlands. His research interests are in protein structure-function relations, prediction from sequence and coarse grained force fields. Besides, he applies executable Petri net models to signal transduction pathways and gene regulatory networks. is the Head of Ocular Proteomics Laboratory and Senior Principal Research Scientist at Singapore Eye Research Institute, Singapore. His research interests are biological mass spectrometry, proteomics, metabolomics, multi-dimensional liquid chromatograph-tandem mass spectrometry (MDLC-MS/MS), quantitative proteomics including iTRAQ, high resolution MRM, and MS/MSALL with SWATH acquisition. is a Reader in Aston Pharmacy School at Aston University, UK. He is an innovative specialist in bioinformatics, computational chemistry, and cheminformatics, with unique experience of the pre-clinical research environment in both academia and the pharmaceutical industry. is an Associate Scientist at the Bioinformatics Core at Sylvester Comprehensive Cancer Center affiliated to University of Miami, USA. His current research is focused on development of algorithms for analysis of Next-Generation Sequencing data from tumors. His broad field of work includes gene microarray, NanoString, and miRNA expression data analysis with particular emphasis on cancer. is a Researcher at the University of Groningen, the Netherlands. She has over 30 years of experience in various fields of biology, microbiology, biochemistry, molecular biology, and protein engineering. Currently She is implementing deep biological knowledge for discovery and clinical validation of novel cancer protein biomarkers. is a Senior Lecturer in Biochemistry at the University of Hertfordshire, School of Life and Medical Sciences, UK. The focus of his research is on investigating new antiviral targets and studying the modulation of transmembrane protein-protein interactions by intracellular signals using a combination of computational and biophysical techniques. is a PhD fellow at Department of Plant biotechnology, Indian Institute of Integrative Medicine, Sanatnagar, Srinagar, India. His research interests include plant secondery metabolism, apocarotenoid biosynthesis, gene cloning, enzymology, phytochemical analysis, medicinal plants. is currently working as Research Associate in Infectious Diseases & Metabolic Disorders Research Lab, Kakatiya University, Warangal, India. His research focuses on the molecular mechanisms underlying susceptibility to complex metabolic diseases including diabetic secondary complications like cataract, retinopathy and neuropathy. His research interests focus on diabetes and its complications and newer therapies from natural sources for patients with diabetes and computational biology.